By joining a class at Cinnamon Twist you are acknowledging that you have read, understood, and accept our Terms and Conditions. Casual payment is not accepted in dance classes. Students are required to enroll in a prepaid course. Payment must be received before participating: Students enrolled in the term with outstanding fees will not be permitted to participate in classes until full payment is received. Only enrolled students are permitted in the dance studio during classes. Whether you observe the class or you dance, you are considered to be participating and therefore are required to pay for the class. Children in adult classes: Children are not permitted in classes for adults under any circumstances. Street shoes are strictly not permitted on the studio dance floor, be prepared to dance barefoot, in socks, or in dedicated dance flats or jazz shoes/sneakers. In the event that the usual teacher is unavailable, Cinnamon Twist reserves the right to provide a substitute teacher, or, in rare cases, cancel classes without notice. Cinnamon Twist reserves the right to alter term dates according to special events/performances, school terms, public holidays and other unforeseeable events. In the case that your regular class is changed, postponed, or cancelled we offer make up classes to replace the changed class, these may be timetabled classes of the same level and type, or we may offer a special class that week. A similar type and level class on our timetable to be taken during the enrolled term. A special class event in which students are invited to attend without additional charge. We reserve the right to schedule makeup classes or special events outside of the specified day or time of your original class booking. You have paid your term fees in full prior to the start of term but wish to cancel your membership. In this case we will refund your fees paid, minus a 20% administration fee. Inform us in writing (email is accepted) with a minimum of 14 days notice before the start of the first class. You must notify us 24hrs before your usual class if you wish to take a substitute class, we accept notifications by email or the private group Facebook page. We allow a maximum of 3 substitute classes which must be used in the current Term in which you are enrolled and may not be rolled over. Substitute classes may be taken in any class across our timetable provided it is of the same or lower level. You have paid your fees in full prior to the start of the term but wish for us to hold your fee to the following term. In this case you must inform us in writing (email accepted) with a minimum of 48hrs before the start of your first class. Transfers are not permitted once the term has commenced. Term payments are linked to one enrolled student only and cannot be shared among multiple students during the term. Specifically, your enrolment and payment constitutes a single person membership for the duration of the Term in which you have paid to attend. We do not allow un-enrolled people to attend your class on your behalf for any reason. The student who wishes to take the place must contact us and lodge an online enrolment form. Transfers of this type will not be considered after the second class of the term has taken place. Food and drink other than water is not to be consumed in the studio. If you have medical conditions that require you to bring food to class please let us know, we are happy to accommodate you. The ‘warm up’ at the start and the ‘cool down’ at the end of class are compulsory. These are important and are designed to prevent injury; to fail to join these parts of the class is to do so at your own risk. If you have a pre-existing injury, or if you fall pregnant, you should consult your doctor before beginning/continuing classes. These may not prevent you from participating in classes, but it is recommended that you seek medical advice and inform your teacher of any such condition/s. Your participation and attendance in any class at Cinnamon Twist is at your own risk. No Smoking: Cinnamon Twist is a strictly smoke free zone. No smoking in or near the studio including the gated courtyard at any time. Parents/guardians are permitted to settle very young children (under 5yrs) at the start of classes but are required to leave the studio within 10 minutes of the commencement of the class. Parents/guardians are expected to arrive 5 minutes before the end of class to collect children. Parents/guardians must be sighted by a Cinnamon Twist teacher prior to taking children. Do not ask your children to meet you outside the studio grounds, Kenny St is a very busy road - we will not release children without an adult to supervise. Newsletters, notices, and forms are all handed out to students at the end of their class. It is the parent’s responsibility to ensure that children behave in an appropriate manner before and after classes. Children/Teens: We take the privacy of our students seriously. Photography and videography is not permitted during Cinnamon Twist Children's and Teens classes. For parents and guardians who would like to document their child in class we arrange special open days and end of term showcases where we do permit photos and videos with the permission sought from all parties, we will notify enrolled students of these times. Any person taking unauthorised photos or video during classes will be asked to delete the images/videos and repeat offenders will be asked to leave the studio. Waiver forms: From time to time Cinnamon Twist may ask permission to document children's classes for archival records and marketing purposes. Permission forms are available in the studio for parents and guardians to allow us to take photo and video of your child in class. Adults: Photography and videography is not permitted during Cinnamon Twist classes without prior consent from both the teacher and the students present. 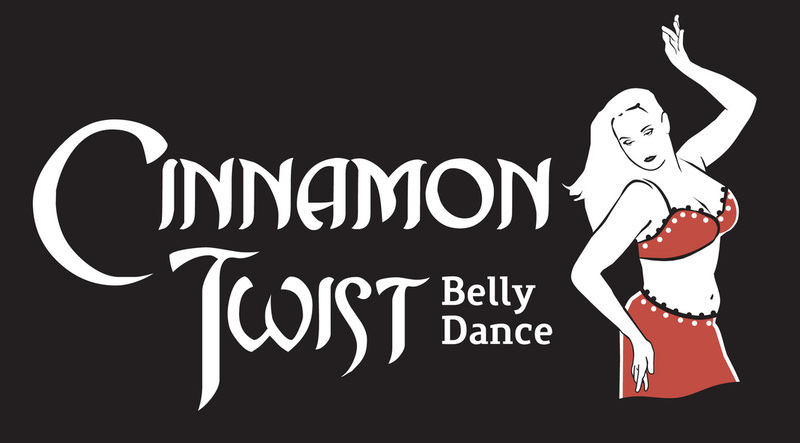 By joining classes at Cinnamon Twist School of Belly Dance you are acknowledging that you understand that the Terms and Conditions of Cinnamon Twist School of Belly Dance are binding and that you accept responsibility for your own well being during classes held by Virginia Keft and her representatives.